The world consumes approximately 75 billion plastic water bottles per year. The majority of these end up in landfills and take over 1000 years to decompose. Why waste them when they can be reclaimed and put to great use. We save over 35 million bottles and reclaim them for your dog parks. 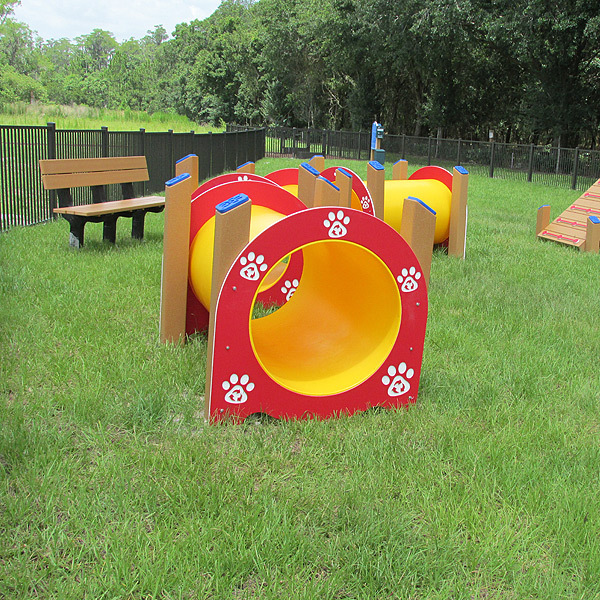 The world's very first GREEN, sustainable, dog park equipment. 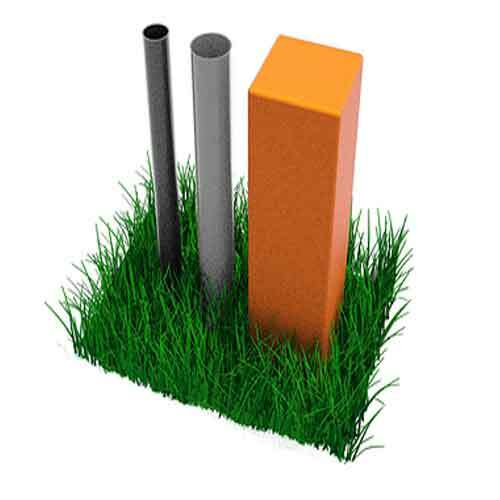 Our product features heavy duty 6"x6" recycled structural posts, rust free hardware connections, and textured, non-slip surfaces to aid in traction. 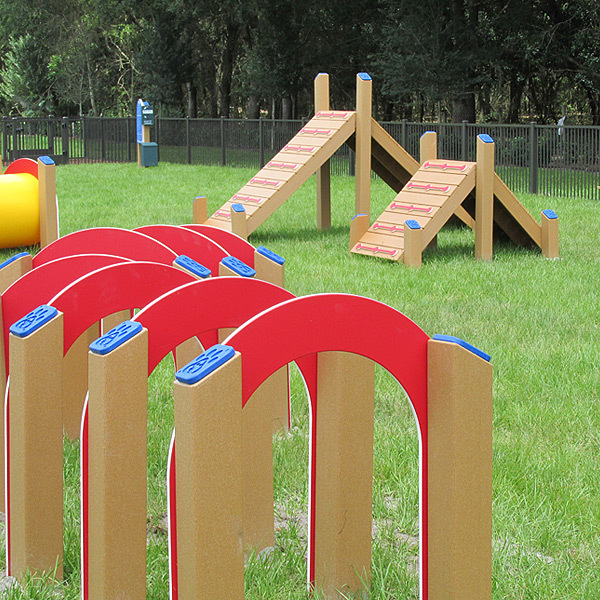 Our equipment is by far the sturdiest dog park equipment available on the market today and comes equipped with a limited lifetime warranty on all post and hardware connections! We stand behind our product and guarantee that it will make both you and your dog a very happy customer for years to come. It's estimated that the world consumes nearly 75 billion plastic water bottles and other plastic containers annually. The majority of these bottles end up in land fills where they will set for the next 1,000 years before even starting to decompose. Why should that many plastic bottles lie dormant in the earth when they can be reclaimed for use in so many other products - like dog parks! 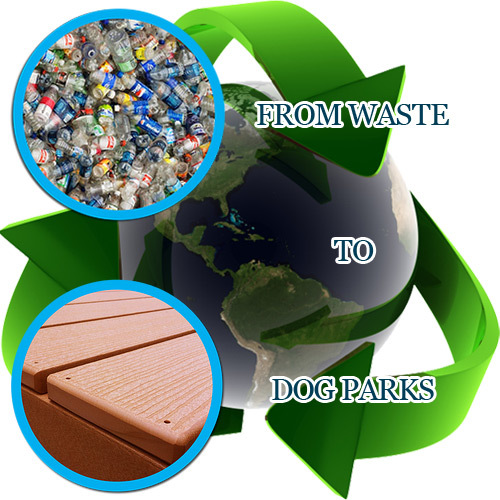 BARKitecture is proud to say that we save approximately 35 million recycled bottles from entering land fills by utilizing the materials they are recycled into. .
Our dog park equipment is inherently rust proof. 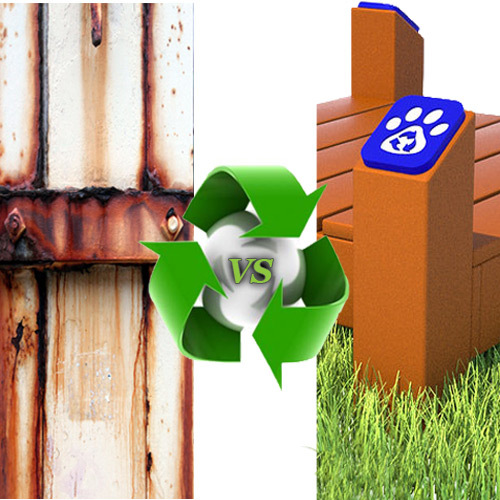 The nature of the recycled material and the added fact that we only utilized stainless steel in our hardware, our dog park components are perfect when you're looking to make a purchase that lasts a lifetime. 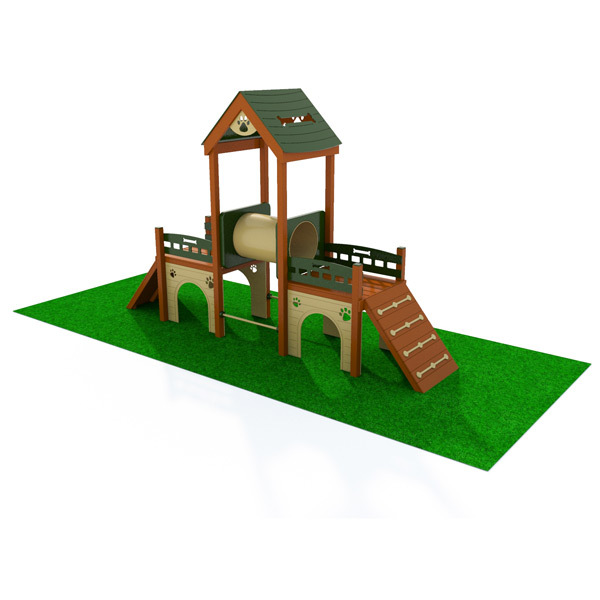 Be comforted with the fact that when you purchase dog park equipment and components from BARKitecture that you're dog park will be around for years and years to come! More popular that ever before! 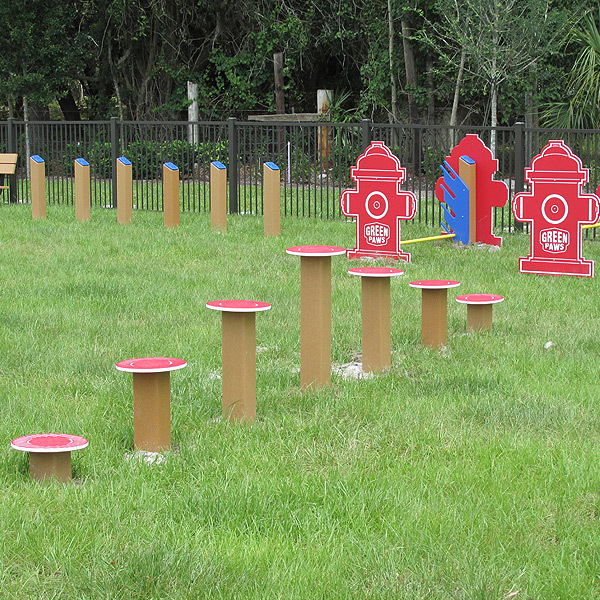 Dog parks are becoming more and more popular for dog owners everywhere. For some owners, they are an everyday part of their schedule with their pets. It has become a ritual to ensure their pets safety and health. Dog parks are set up specifically for you to be able to take your dog and allow them to play off their leash in a safe, controlled environment. Need a break from the sun? This bench and umbrella are perfect for you and your dog to catch your breath. 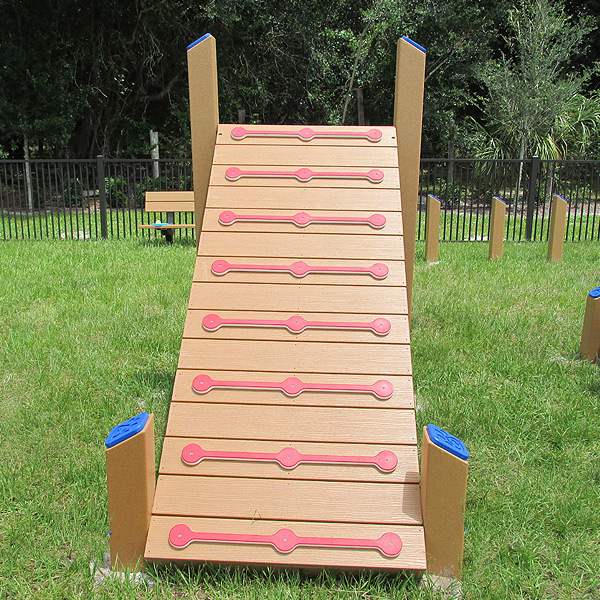 You and your pet will enjoy a quick break before getting back to all the ramps and tunnels. We get thirsty and so do our pets. 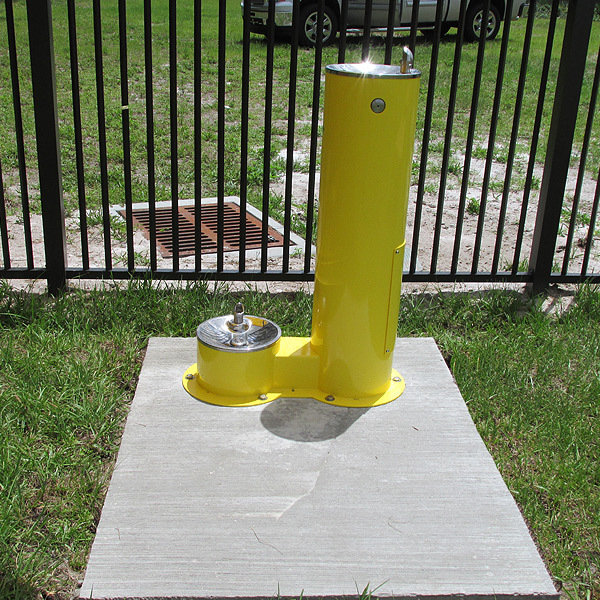 What's a dog park without a dog water fountain? We haven't forgotten that the pet owner gets thirsty too, so after your dog is done there is a fountain for you. 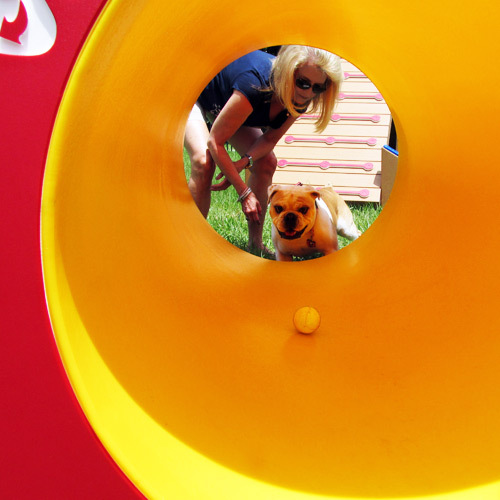 Built to give your dog a fun workout and playtime. 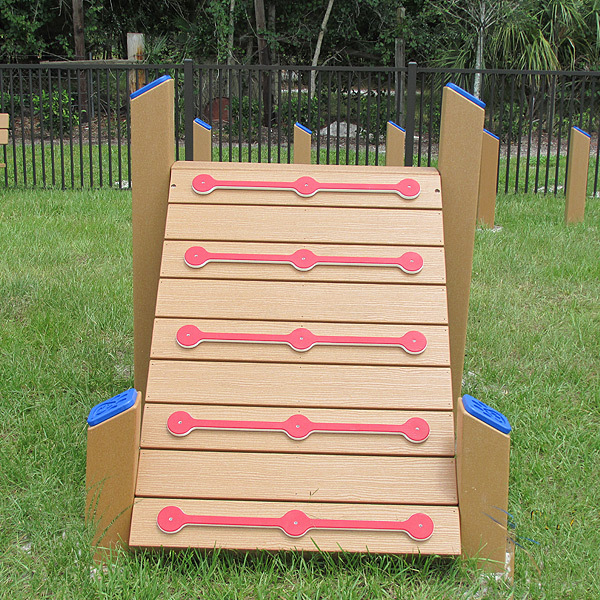 Our ramps come in various shapes and sizes including bridges and platforms. Don't know what to get? Let us help you. 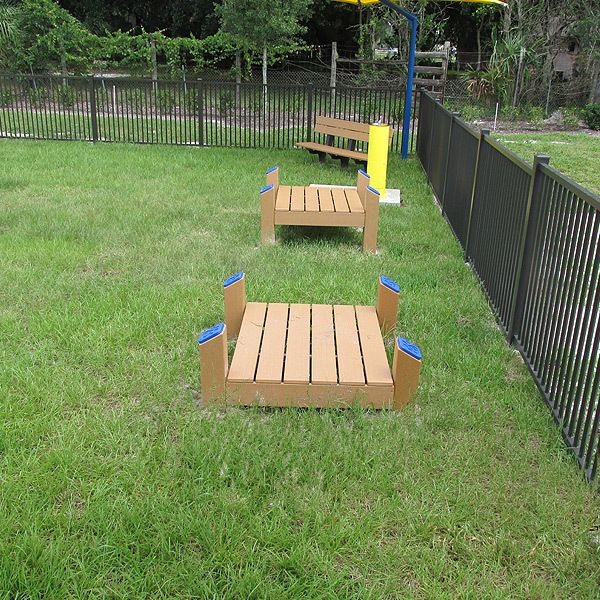 We can layout your dog park to make the most of the space you have available. Call us today! Paw Pods, Fire Hydrant Jump & Doggie Weave. Greyhound Hoops, Up & Down Ramps in background. Small Up & Down Ramp. Large Up & Down Ramp. Quench both you and your Dog's thirst with our double water fountain combo. 8 & 16 inch Pause Tables. 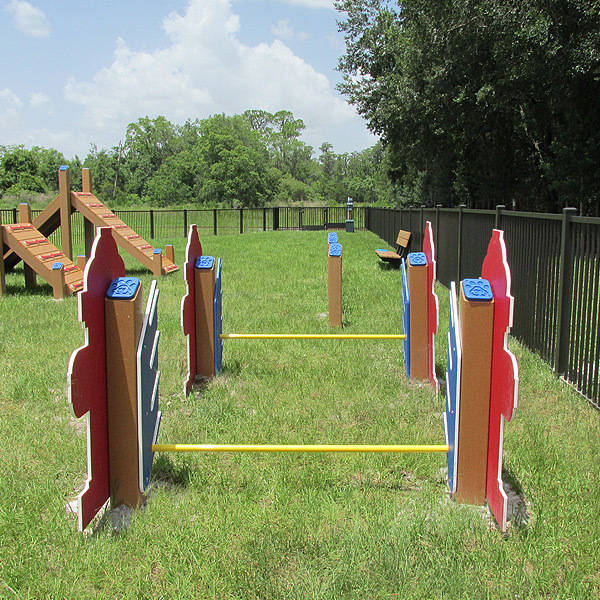 Our K-9 Club Agility Structure is a great value for both large and small dogs. If you have questions about any of our products, please contact us using the information below or fill out the form and a representative will be happy to contact you.